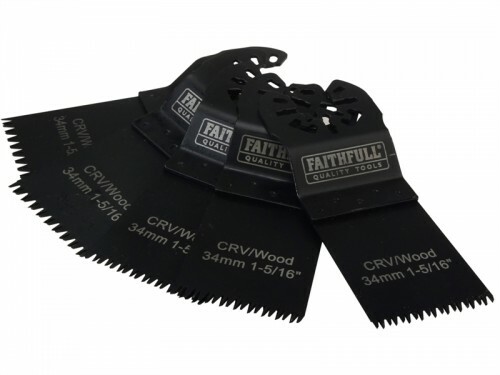 The Faithfull Multi-Functional Wood Blade has a broad range of applications with ground, side set hardened teeth. This blade provides a fast cutting performance in soft wood, plastics, plasterboard, plastic pipes and similar materials. The multi-fitting is compatible with AEG, B&D, Craftsman, Bosch, DEWALT, Einhell, Fein, MacAllister, Mastercraft, Milwaukee, Rigid, Rockwell, Skil and many other multi-function oscillating power tools.